Abhishek Ganguly, Managing Director PUMA India, reveals exclusively in CATch Up what he did to make the brand a champion. Abhishek, how come we have outrun Adidas as the No 1 Sports Brand in India? We have not just outrun Adidas. 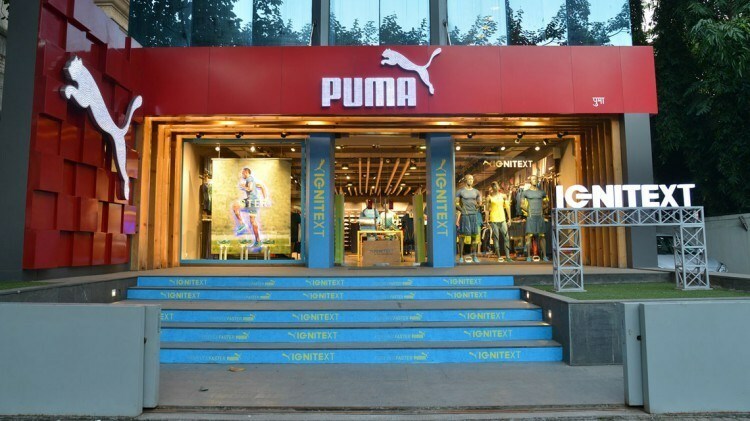 By the end of 2014, PUMA in India has become the largest brand – not just in Sports, but across all global Brands in the space of footwear, apparel and accessories. This includes Adidas, Nike, Zara, Levi’s and others. This is despite the fact that PUMA was one of the last to enter the market in 2006. We are ahead of others, not just in sales, but also in terms of consolidated profits. We have had a great run in India since those days when the brand was sparingly present and hardly recognized. What is the proof for this? What is this claim based on? Local regulations entail that every registered company in India has to file its audited Profit and Loss Account with the Registrar of Companies (ROCE) as a part of statutory obligation. This in turn becomes available to the public on their website. The latest updates on the ROCE site show that we have the highest sales. What did you, respectively PUMA India, do in order to achieve this? There are lot of things which we have done successfully and better than our competition. Our focus on Retail and specifically running stores set the brand rolling in the market. Our stores are in all key markets in the country and this presents the brand in its full light and with consistency. Today, we have 340 stores in India which include 50 owned and operated stores. Doing Retail ourselves has helped in opening and contributing better to partner stores. It has also helped in integrating a culture of sell through orientation (and not just sell in) across the company. The merchandising team shoulders this across channels with the Sales and Retail teams. On the wholesale front, we have put huge efforts to build win-win relationships with the trade, be it our Franchisees, Multi Brand partners or the fast growing ecommerce platforms. However, most importantly, PUMA India’s success is because of the team. It is a bunch of young, passionate set of individuals with great entrepreneurial spirit. The team has worked around challenges at hand and looked at solutions rather than fretting about scarcity of resources. The team puts high benchmarks for itself and relishes the challenge to achieve it. The level of ownership resulting from this is of a very high standard. Another hallmark of this team is the ability to take risks within the purview of commercial prudence – a balance that is very difficult to inculcate. Did you run special marketing campaigns? From a marketing perspective, we have had the lowest spending as a percentage of sales compared with our competition. However, our marketing has been engaging and we have often used digital as the key platform for our communication. We have been able to deliver better return for the marketing buck. Our consumer engagement has had a big role play in generating traction for the brand. Do you think this is a sustainable rank and you will be able to keep this? A lot of brands are putting in resources and lot of investments given that India is a market of focus for each one of them. We will be pushed to limits to sustain the leadership position. We are cognizant of the fact that we need to do things differently. What got us here might not keep us here. It’s a dynamic market with a fresh set of challenges. We are taking a lot of initiatives, which are completely new. I am confident that we will remain a strong and sustainable brand in India. More than sales, we will continue our pursuit for improving our profitability and keeping the PUMA brand aspirational. What would you recommend other General Managers to do to bring the brand ahead in their countries? PUMA is a special brand with a great history and huge credibility. In the recent years, our positioning has been very clear with a renewed focus on Performance, which is strongly backed by products, that are living up to this positioning. To add to this, Sports Style and Motorsport are our points of differentiation from other brands. We need to believe in our Brand and its future. I believe in the power of positive thinking. If we all work towards focusing on our strengths and present the brand in all its might to our consumers, there is no reason why we shouldn’t be more successful. There is a thing that we remind ourselves at PUMA India often: we are not the biggest global sports brand with the biggest assets and the biggest marketing, hence we need to work that extra hard and with higher levels of passion and commitment. Abhishek Ganguly (38) has been with PUMA for ten years. He likes his job because he immensely enjoys sports and the business around it. He loves the team he has and he loves the brand. PUMA is more than a family to him. In his free time, he enjoys playing and following sports, being around people and being social. And he would actually love to run a 200 meter race against Martyn Bowen. We need to believe in our Brand and its future. I believe in the power of positive thinking.